Amid all the Meghan Markle mania as of late, a few co-workers have asked why we are so obsessed with royals—particularly royal weddings. My personal guess is the "fairytale" aspect. Growing up, our storybooks were flooded with princesses and princes, kings and queens and Cinderella-type stories where women were "saved" by a suitor on a white horse. Perhaps the allure is that these fictional characters, once only known to us in the pages of a paperback, actually exist to some degree. The reality may not be pumpkin-turned–golden carriage, but the magic, in a more palpable sense, is still there. Royal families also provide a form of escapism. "I think that looking at happy couples and young children and families forming, the positive aspects of what it means to be human, is nice and gives us a respite from the headlines, sensationalism, and hourly breaking news about what's going on in our own country," licensed clinical psychologist Donna Rockwell tells the Huffington Post. 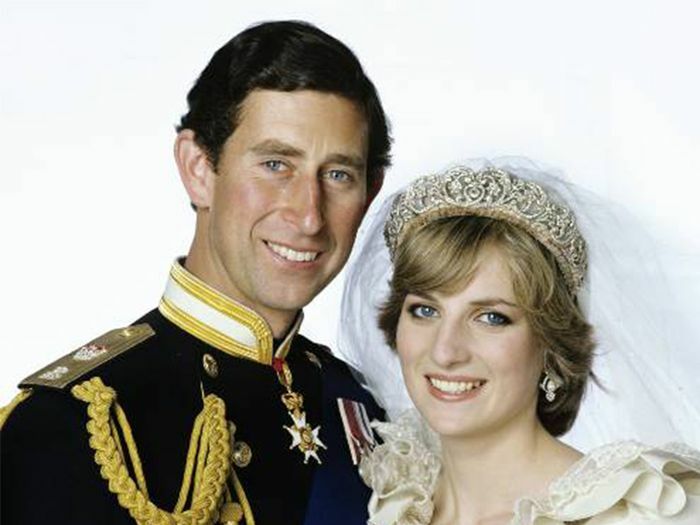 So with Harry and Meghan's nuptials this past weekend, we thought we'd provide even more of an escape by taking a retroactive look at the dazzling tiaras of past royal weddings. (Although, there are so many that we couldn't include them all, but we think you'll enjoy these regal brides). 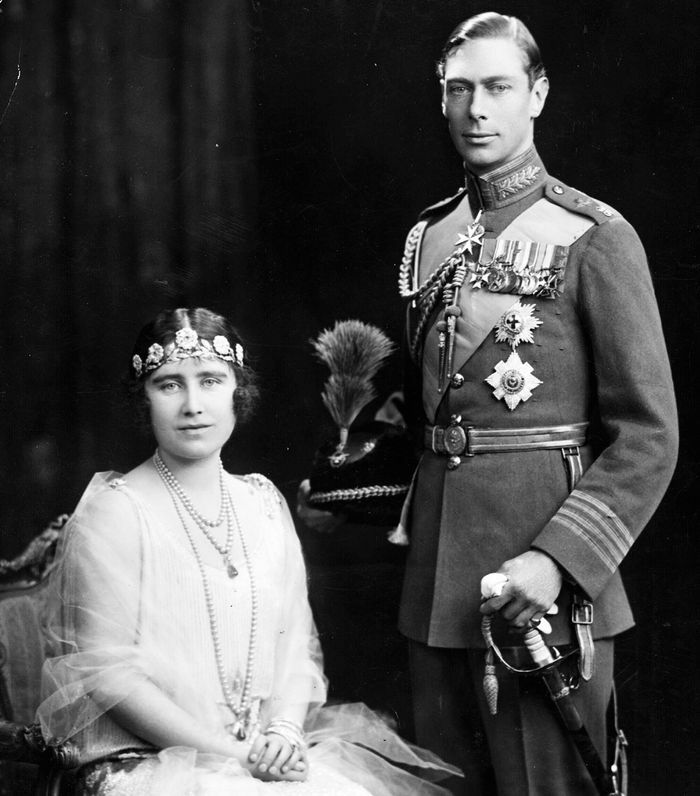 Albert Frederick Arthur George (later known as King George VI) married Elizabeth Bowes-Lyon, who later became queen, in 1923. They had two daughters, Elizabeth (the present queen of England) and Margaret (who was second in line to the throne but passed away in 2002). On their wedding day, Elizabeth was the picture of a 1920s beauty. She wore the Strathmore Rose Tiara, a gift from her father, flapper-style across her forehead. Fun fact: Different parts of the crown can be taken apart and worn as brooches. Margaret, Queen Elizabeth II's sister, was previously proposed to by Group Captain Peter Townsend, a Royal Air Force officer, but the Church of England refused to marry them because he was a divorcé. She eventually left him and married photographer Antony Armstrong Jones, who would later become Earl of Snowdon, but they eventually divorced. Despite being a "controversial" member of the royal family, we can all agree she was a vision for her marriage to Jones. The bride broke tradition by wearing the Poltimore Tiara rather than borrowing one from the royal collection. She had bought the crown at auction the year before. In 1947, Queen Elizabeth II married Philip, Duke of Edinburgh, a former prince of Greece and Denmark (who was actually her distant cousin—they're both great-grandchildren of Queen Victoria). On the day of her wedding, her tiara snapped in half—being a royal, of course, the court jeweller was summoned to fix it, and all was well. Judging by her beaming smile, the ceremony went off without a hitch. Perhaps one of the most iconic wedding dresses to date, Grace Kelly, a Hitchcock Blonde turned real-life princess, met her husband, Prince Rainier III, at the Cannes Film Festival. Her Juliet cap in lieu of a crown will serve as Pinterest wedding board fodder for decades to come. Princess Diana was the people's princess, no matter what country you were from. Her marriage (and later divorce) was complicated, but there's no denying she was like something out of a storybook on her wedding day. She opted for the Spencer Tiara, which belongs to her family, rather than wearing one of the Queen's pieces. Like most tiaras, it is actually made up of many different pieces of jewellery. Prince Félix of Luxembourg married Claire Lademacher, a bioethics researcher in 2012, making her a Princess of Luxembourg with the style of Royal Highness. Her tiara is a royal heirloom, having been worn by several brides prior. Letizia Ortiz Rocasolano married Felipe, the Prince of Asturias, after a 10-year marriage to a high school literature teacher that ended in divorce. When Felipe's father, King Juan Carlos of Spain abdicated his throne, Felipe and Letizia became King and Queen. She's the first Queen of Spain to have been born a commoner. Letizia wore the Prussian Tiara that's been worn by many Asturias royals. Queen Rania Al Abdullah of Jordan is somewhat of an Instagram style star, with over 4.4 million followers and a distinct sense of fashion. Prior to marrying King Abdullah, she worked for Citibank and Apple doing marketing. The couple wed at a "lavish" ceremony just six months after meeting—one of the bride's assistants later revealed Rania's updo was so high that she had trouble getting into the car. The hairstyle was accented not by a tiara, but a bejewelled hairband. Princess Lalla Salma of Morocco married King Mohammed VI in 2001 and was granted the title of Princess Lalla, with the style of Royal Highness on her marriage. She wore a striking tiara along with dotted face paint along her cheeks and in-between her brows, a traditional look past Moroccan princesses have also worn. Last but not least, Catherine, Duchess of Cambridge. Kate was jaw-dropping on her widely anticipated wedding day. The Cartier-designed tiara has 739 brilliant-cut diamonds and 149 baguette diamonds. Who says merchandise can't be chic? Up next, find out Meghan Markle's real name.